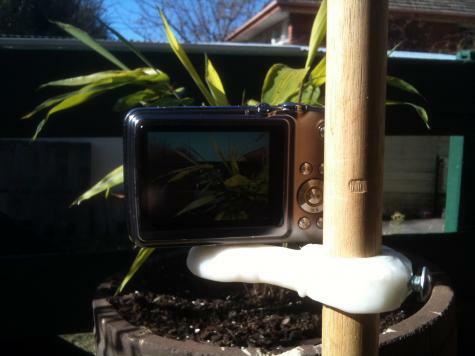 We've been using this camera stand for a while now, mainly for recording time lapse sequences of plant growth. 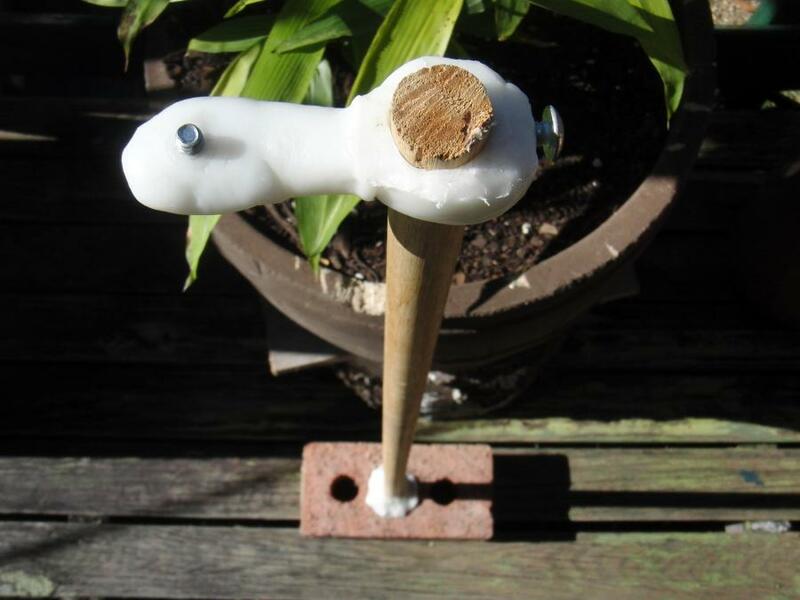 The brick base and dowel shaft ensure that it remains stable over long recording sessions. 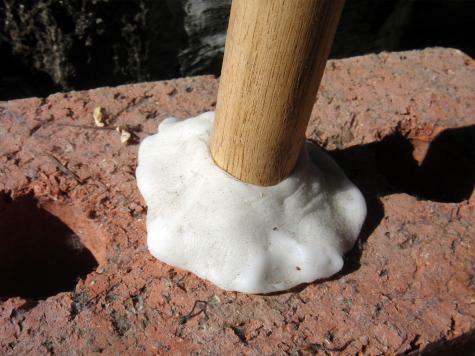 We used a blob of Plastimake to fix the wooden dowel securely into the brick base. This design takes up a lot less floor space than a tripod! The Plastimake camera attachment can slide up and down the dowel so that we can record at any height. We even added a tightening bolt, but it ended up being unnecessary as the Plastimake is moulded quite firmly around the dowel. As always, this design could be improved. The camera attachment is a little too short, which means it needs to be moved to the top of the shaft before you can attach the camera. It would also be nice if you could adjust the tilt of the camera - stay tuned for version 2.0!